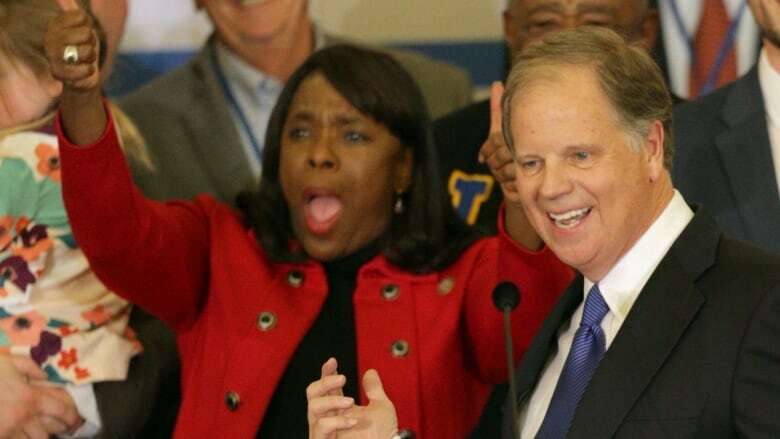 Democrat Doug Jones won Alabama's Senate election this week, in a stunning victory over scandal-plagued Republican Roy Moore — and many are crediting black women for helping flip a deeply red state blue. 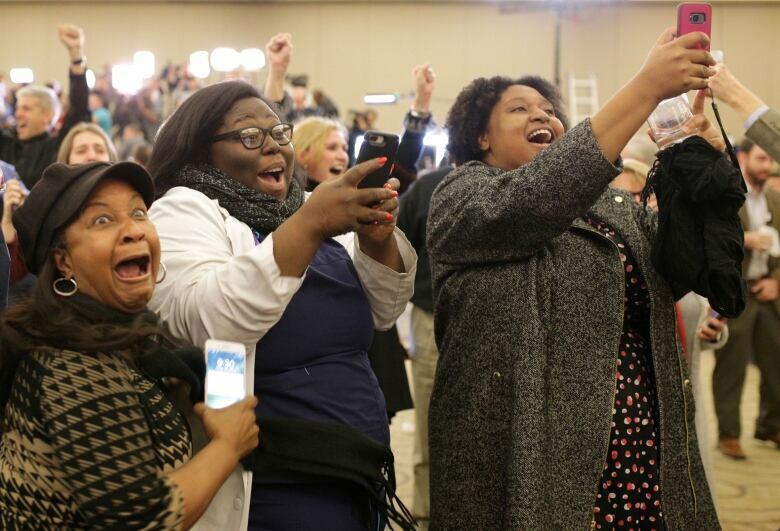 "In Alabama, they [black women] didn't just wake up one day and decide to go vote," Ashley Alese Edwards, Refinery29's senior news and politics editor, told The Current's Anna Maria Tremonti. 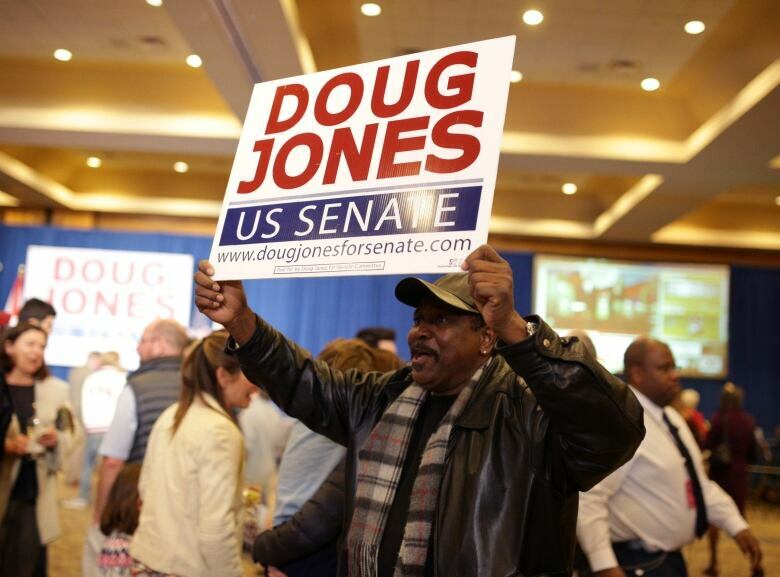 "It was a concerted effort for months at a time for Doug Jones — getting out the vote, registering other people to vote, making sure people knew where their polling stations were." CNN exit polling suggests 30 per cent of the electorate was African-American, with 96 per cent of them voting for Jones — and 98 per cent of black women voters backing the Democratic candidate. After the election result, many took to Twitter thanking black women. "Thank you is not enough," said Edwards. "Black women need resources. They need to be in leadership positions, and I think the Democratic Party would be wise to look at what happened in Alabama and use that going forward in 2018." The loyalty of of black voters, specifically women, hasn't been rewarded, said Jasmine Phillips, a marketing consultant, who helped get out the vote for Jones. "Hopefully this election was a wake-up call. " Throughout the campaign, President Donald Trump endorsed Moore despite a litany of sexual misconduct allegations. Phillips said Moore's defeat spelled a message for Trump. "Watch out. I think that's the message. I think his presidency, his administration have gotten really comfortable with a lot of negativity ... But we're here to say, no you can't act a certain way." "You can't do things a certain way, and, you know, be negative in races and show your true colours towards us, and not think that we're not going to react. No, that's not true. That's not what our ancestors did. And that's not what we're going to do either," said Phillips. Moore's hard-line views on issues included Islam, homosexuality, and immigration. 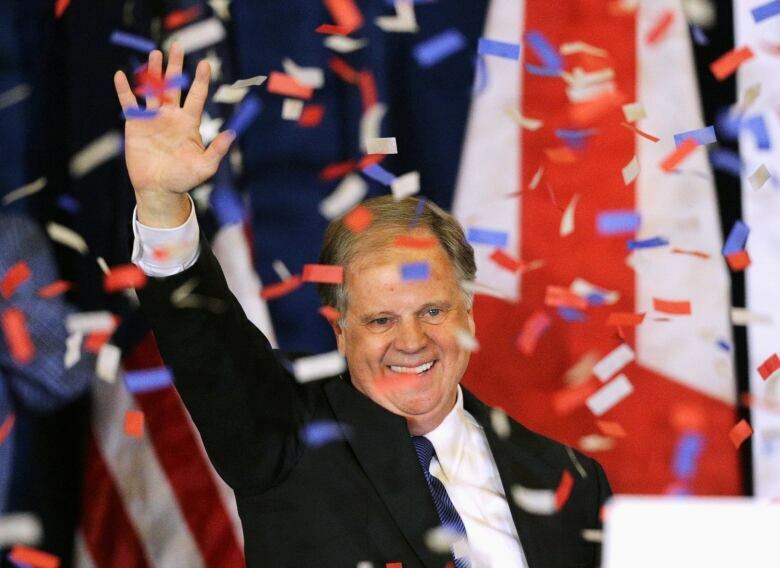 In 2011, Moore appeared on a radio show, where he said getting rid of constitutional amendments after the 10th Amendment would "eliminate many problems" in the way the U.S. government is structured. Those included the 13th Amendment, which abolished slavery. "The sad reality is that a lot of people still think like him. A lot of people still believe that we don't even deserve to be in some of these positions because the colour of our skin and that's heartbreaking," said Phillips. "I was infuriated, but I used that anger, went to the polls, volunteered, you know, motivated others to go to the polls. You know it paid off. It worked. It worked out in our favour." Phillips also pointed out the number of black men who went to the polls. "You have to think about Alabama as a state. You know a lot of young African-American men may not even be registered to vote because they may have a felony on their record. They may not have a voter ID because in the state of Alabama, you have to have a valid photo ID even vote on that day," said Phillips. "So the odds were definitely stacked against black men. But they showed up and they voted, and it showed." According to Edwards, the election result wasn't just a vote against Moore, who was accused by multiple women of sexual misconduct while they were teenagers. "He is a pretty divisive candidate. But beyond that, black women have been voting for a Democrat since the '90s. It's a strong voting bloc, and we have been the leaders for progressive change in America." Edwards also pointed to Doug Jones's civil rights record. "He prosecuted the men who bombed the 16th Street Baptist Church in Alabama that killed four young girls. So he has a good reputation. I think Doug Jones was a good candidate, but also Roy Moore was exceptionally bad for many people." "This is not black women stepping up and saying, 'Hey we're going to save you guys from yourself,'" said Edwards. "Black women stand to lose the most sometimes under Republican policies ... it's not about anyone else at this point. It's about saving themselves." This segment was produced by The Current's Willow Smith, Ines Colabrese and Donya Ziaee.